BERLIN, Germany – August 28, 2012 – Samsung Electronics America Inc., a subsidiary of Samsung Electronics Co. Ltd, today announced at IFA 2012 its new Series 7 and Series 5 All-In-One (AIO) PCs.Engineered to provide high-performance computing power in a sleek form factor, the new AIO PCs build on the premium qualities of Samsung’s existing PC line. Each of the new models features a highresolution, ten-point touch, slim bezel display on an elegant metal base, as well as a third generation Intel® Core™ processor. The products are designed to run Windows 8, resulting in a PC that is just as powerful as it is eye-catching. “Our new Series 7 and Series 5 All-In-One PCs are designed to meet a range of consumer needs across the home, all within highly stylized form factors that users will be proud to put on display,” said Todd Bouman, vice president of product marketing at Samsung’s Enterprise Business Division. “The expansion of our AIO line speaks to the success we’ve had in the PC market over the past year. Both of these new models take Samsung’s convergence technologies to the next level, completing the home computing experience by connecting the PC to other devices in the home environment." The new Samsung Series 7 and Series 5 AIOs have been crafted to deliver an entirely new PC experience through innovative sense recognition features such as 10-finger multi-touch control and hand gesture commands. The displays’ enhanced sensitivity enables users to enjoy the full capabilities of the latest entertainment applications or perform complicated content editing. Users can pinch to zoom on content or rotate images, and scroll through pages with complete ease using 10 multi-touch functions. To further expand user benefits, the new AIO PCs have five simple hand gesture recognition* features that conveniently let users stay in control with just a flick of the wrist from up to three feet away, perfect for enjoying home entertainment or cooking. Users can swipe right or left to turn the pages of an e-book or recipe, all without touching the screen. Users can also rotate their palm clockwise or counter-clockwise to change the volume while watching a movie, close their hand to click on an option in a program, or simply wave their hands to stop watching a movie. Powered by a third generation Intel® Core™ processor, up to 8GB RAM, dedicated HD graphics and a 1920 x 1080 display resolution, the new Samsung AIOs provide users with all the computing power they need to effortlessly multitask. Up to 1TB HDD and 64GB SSD ensure content in a wide array of formats is readily available in no time and enables users to seamlessly playback, edit, create or save content. To enjoy its full capabilities as a home entertainment system, the new AIO PCs have a viewing angle of 178 degrees** vertically and horizontally, enabling families and friends to watch TV shows or movies without sacrificing picture quality for anyone in the group. Looking up recipes on your computer has also never been easier than it is on the new Samsung AIO PCs, thanks to Jamie Oliver’s application, Jamie Oliver’s Recipes, which is available now on Windows 8 and exclusively pre-installed on Samsung Windows 8 PCs. Users can enjoy delicious recipes from around the world, developed specifically for the application and displayed in an easy to follow step-bystep format, each with beautiful high-definition photographs. Samsung’s Series 7 and Series 5 AIO PCs both feature a clutter-free and space-saving design, complete with a unique and stylish metallic stand, an ultra-slim display with a durable metal edge, and an edge-toedge glossy black screen. These elegant new models add a premium look to any living space or office while maximizing available space on a desk or countertop. The Series 5 All-In-One was designed to serve as an ideal kitchen PC, with a keyboard and mouse that fit neatly in between the legs of the base to open up counter space and a slightly smaller screen size that users look for in that room. The Samsung Series 7 and Series 7 All-In-One PCs will be available beginning October 26, 2012. The MSRP for the Series 7 is $1,099 – $1,699; the MSRP for the Series 5 is $749. All Samsung mobile PC products are available through Samsung resellers and distribution channels. 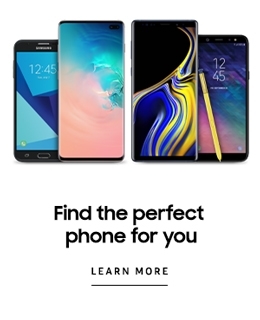 For a full list of retailers, call 1-800-SAMSUNG or visit www.samsung.com. Key Specs: * All functionality, features, specifications and other product information provided in this document including, but not limited to, to benefits, design, components, performance, availability and capability of the product are subject to change without notice or obligation. * Gesture recognition performance may vary. Certain features within gesture recognition may require Internet access. ** Only available on Series 7 27" (Series 7 23.6"/Series 5 21.5": available with 170 degrees horizontally and 160 degrees vertically). As a global leader in Information Technology, Samsung's Enterprise Business Division (EBD) is committed to bringing meaningful innovation to businesses of all types from small/medium businesses to the Fortune 500 elite and public agencies alike. 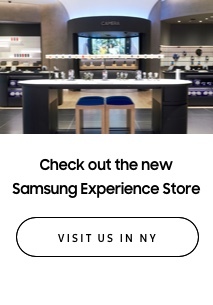 Samsung offers a complete portfolio of solutions including virtualization, printing, displays, notebook and tablet PCs and digital signage; all designed to move businesses forward while helping to reduce operating cost and the environmental footprint. Samsung EBD is a division of Samsung Electronics America (SEA), Inc., a U.S. subsidiary of Samsung Electronics Company, Ltd. (SEC) and is among the world's largest technology companies. For more information, please visit www.samsung.com/business or call 1-866-SAM-4BIZ. Samsung Electronics America, Inc. (SEA), based in Ridgefield Park, NJ, is a subsidiary of Samsung Electronics Co., Ltd. The company markets a broad range of award-winning consumer electronics, information systems, and home appliance products, as well as oversees all of Samsung’s North American operations including Samsung Telecommunications America, LLC, Samsung Semiconductor Inc., Samsung Electronics Canada, Inc. and Samsung Electronics Mexico, Inc. As a result of its commitment to innovation and unique design, the Samsung organization is one of the most decorated brands in the electronics industry. The company was ranked #19 in BusinessWeek/Interbrand “100 Best Global Brands,” and named as one of Fast Company’s “50 Most Innovative Companies of 2010.” For more information, please visit www.samsung.com. You can also Fan Samsung on www.Facebook.com/SamsungUSA or follow Samsung via Twitter @SamsungTweets.